Mike Williams supports one of Ryder's key customers - a globally recognized automotive manufacturer. 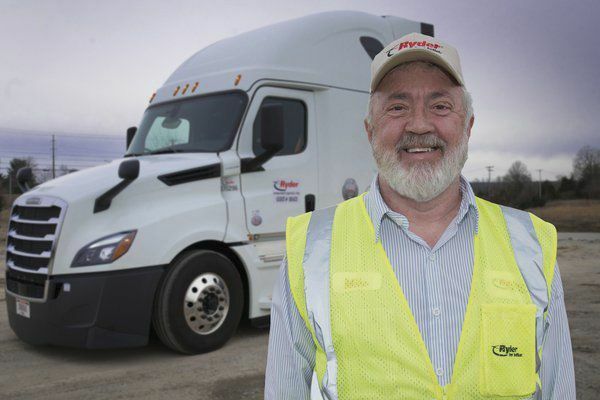 Since starting his professional driving career in 1979, at the age of 18, he has logged an impressive 3.8 million collision-free miles, including three million with Ryder. Williams was recently recognized for his achievement. 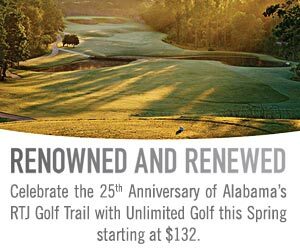 | Photo Contributed. CORBIN — The first job James “Mike” Williams had as soon as he graduated high school was driving a truck for a company in London and he’s been driving ever since. All that time on the road has paid off for Williams as he was recently recognized for his driver safety. On April 1, Williams, a Clay County resident known for his work ethic and dependability, was the winner for Ryder Supply Chain Solutions for which drivers are responsible for delivering customer products in an efficient and timely manner, to help ensure a fully optimized supply chain. 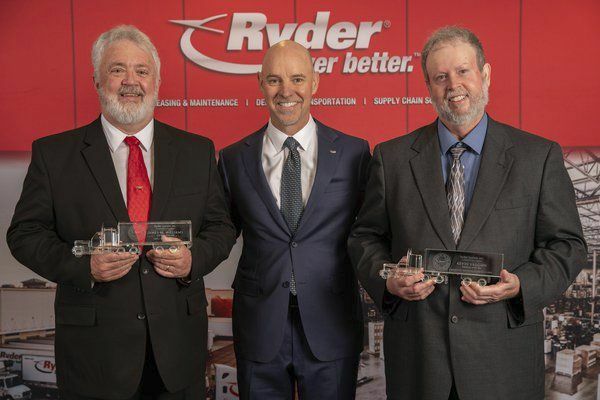 Ryder System, a leader in commercial fleet management, transportation, and supply chain solutions, announced April 1 the winners of its “Driver of the Year” awards, which honor the top driver in each of its three business units. With more than a century of combined experience and nearly 10 million safe miles driven between them, Kevin Vaughn of Lenexa, Kansas; Williams out of Corbin, and Kennard “Deano” Davis of Siloam Springs, Arkansas, take their places in the Ryder “Driver Hall of Fame,” alongside just 116 others over 46 years. Williams has gotten to see the country and meet a lot of people in his career. Williams supports one of Ryder’s key customers – a globally recognized automotive manufacturer. Since starting his professional driving career in 1979, at the age of 18, he has logged an impressive 3.8 million collision-free miles, including three million with Ryder. Awards run in this family; Williams' cousin has also received the same award. Williams said his company keeps him in a good truck and that means a lot to him along with the good quality management. Thanks to a great schedule due to years of service and seniority Williams has time to be active in his community. He volunteers with multiple organizations such as Warm Souls for Worn Souls, Shoebox Christmas and Blanket Appalachia. And Williams, a church greeter at Manchester Baptist, is often the first one in the building.